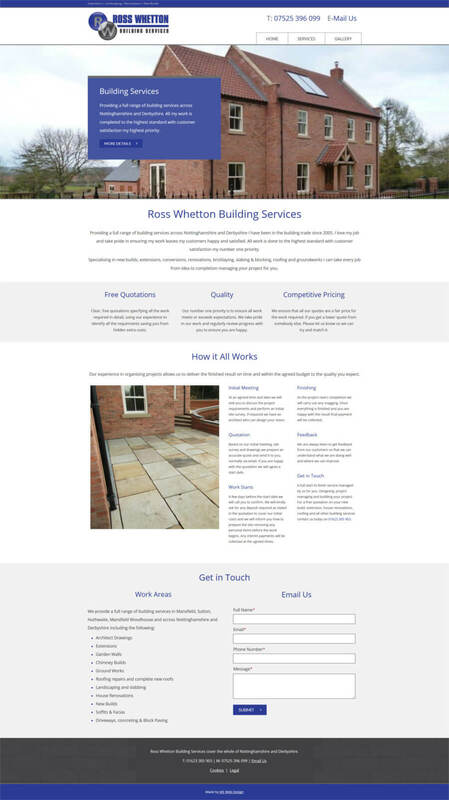 Ross Whetton Building Services provide all types of building works across Nottinghamshire and Derbyshire. 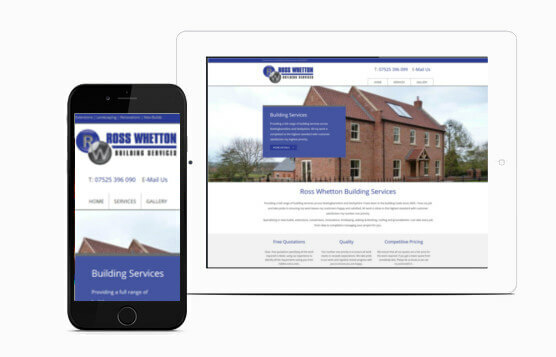 This is Ross's first website for his business, he was looking for a small site to provide a professional web presence that gave potential customers a good understanding of the services he offers as well as examples of his stunning work. Ross was keen for the site to emphasise his standards and priority of customer satisfaction. We used Ross's existing logo to keep his brand and built the website to show his excellent work and give a clear overview of his services and process. Ross was involved throughout the whole process with face to face meetings and amendments until he was happy the website reflected his business in the way he wanted. This site is a great example of the attention we give all our clients no matter how big the website is. Our trademark clean and easy to use attractive design with an animated slider and multiple gallery sliders to maximise the page content.